Product #5639 | SKU YPP-106 | 0.0 (no ratings yet) Thanks for your rating! The Hosa YPP106 1/4'' Y-Cable Splitter (6''). 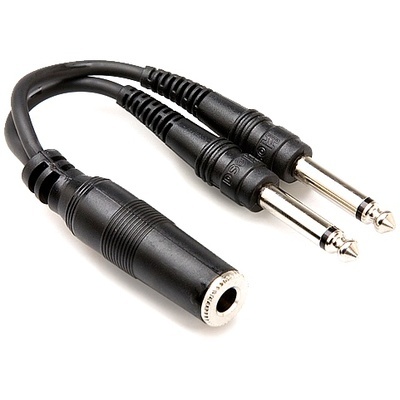 This cable is designed to duplicate a mono signal. This Y-cable is perfect for those on a budget. It allows you to send a single mono signal to 2 places. It has a 1/4" female connector at one end and a pair of 1/4" male plugs at the other.